How do you explain a spider of a search engine you only want him to index just the first page of your website or he is allowed to index the whole website. You use the so called ROBOTS tag. 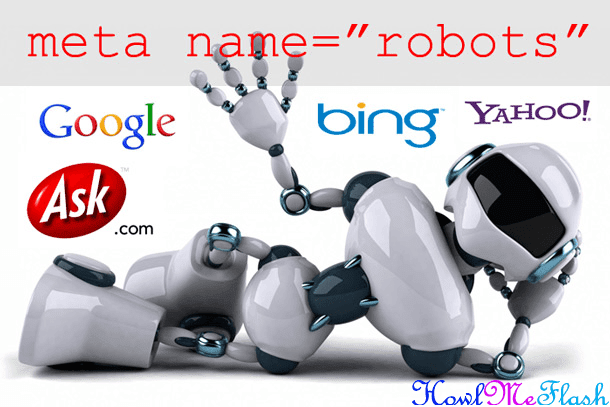 The robots meta tag is not the same as the file called robots.txt You should use these two together. Both are used by the seach engines like Yahoo and Google. If you use this meta tag the wrong way you might shut the search engines out. So the influence of this meta tag is significant. The following table shows all the directives that Google honors and their meaning. Note: it is possible that these directives may not be treated the same by all other search engine crawlers. Multiple directives may be combined in a comma-separated list (see below for the handling of combined directives). These directives are not case-sensitive. do not show a "Cached" link in search results. snippets shown for this page. These are used if your website is listed in one of these directories with information you do not want used in the results pages. This might be the case if you have old, outdated listings that no longer apply. They tell robots not to use information from these sources, and they are optional. When a site is listed in the Yahoo! Directory there is a title and description associated with that listing. So, Yahoo! started showing that title and description as the linking text and snippet text in the search engine results page (SERP) whenver that website would show up (most commonly only the homepage). The noydir command overrides this functionality and gives control back to the website owner to control the linking and snippet text in the SERPs via the Title tag and Meta Description tag on their website. By regaining this control you can adjust those fields whenever desired.